Ulf Rollof´s art delivers universal truths that are heavily battered yet hopeful. 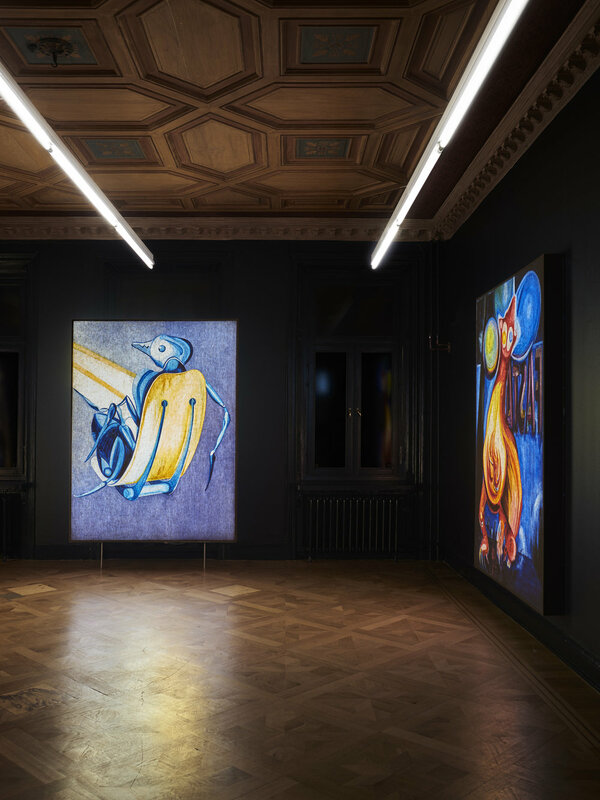 Where artists like Ernst Josephson, Lim-Johan and Carl Fredrik Hill created as a means of surviving the dark shadow of their illness, Ulf Rollof reaches after possibilities, escape routes and rays of light. Kleptomaniac is the third in a trilogy of shows. 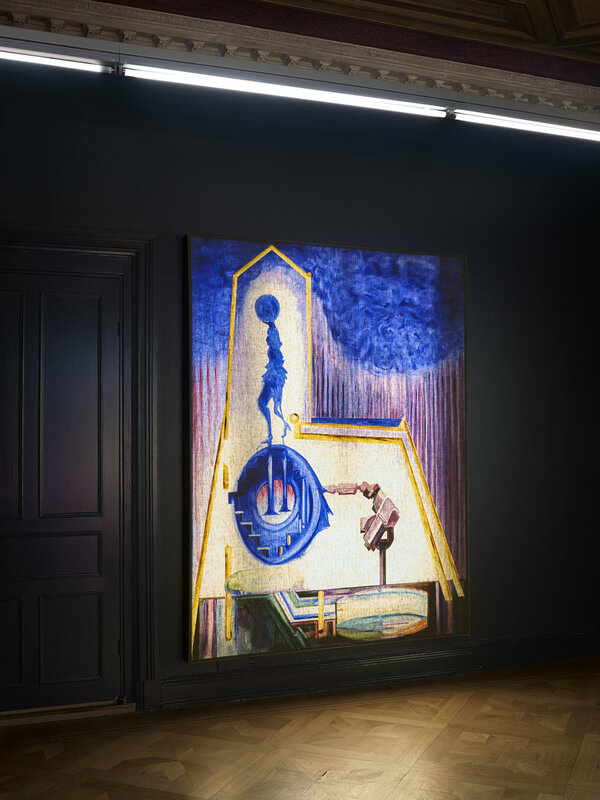 The first was Cleptomania at Casa Maauad in Mexico City (2014), followed by Kleptomani at Galleri Andersson/Sandström in Stockholm (2014). The third and final instalment, Kleptomaniac, developed in Ventura, California, is now on exhibit at CFHILL (2016). 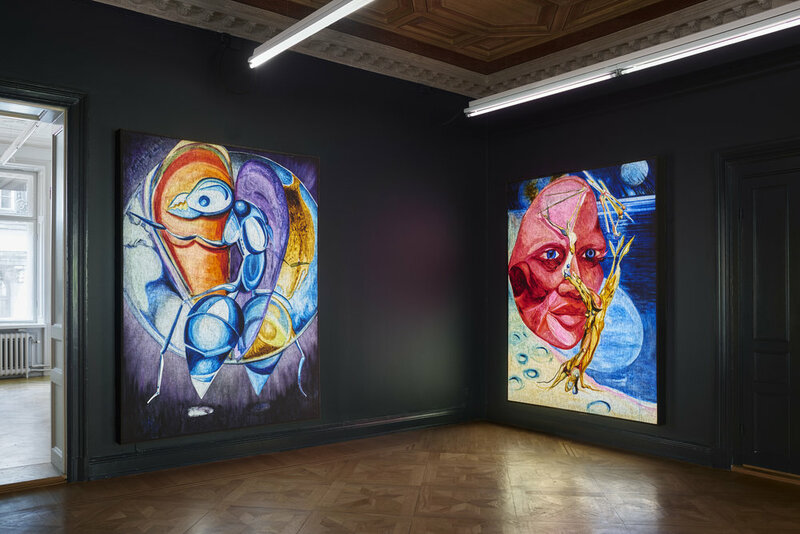 Ulf Rollof is also represented in a group show, Life Itself, (2016) at Moderna Museet in Stockholm, where he has exhibited several times previously. His work has been exhibited in important international shows including the Venice Biennale, Kiasma (Finland), MUAC (Mexico) and Documenta. 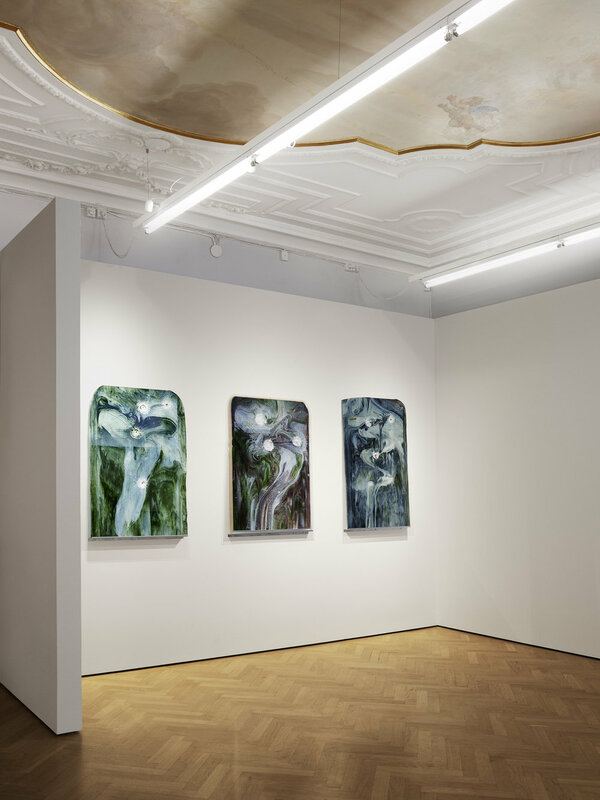 Kleptomaniac includes a series of paintings that are robbed of their colour by daylight, leaving only a monochrome facade. The backlit works dazzle in darkness, however, the colours more brilliant for their earlier concealment. Rollof is also exhibiting a series of cardboard signs he bought from homeless people in the neighbourhood north of Los Angeles where he has his studio. Ulf Rollof grew up in comfortable material plenty, yet feels a compulsion to steal things he doesn't need. For the homeless, the situation is reserved. 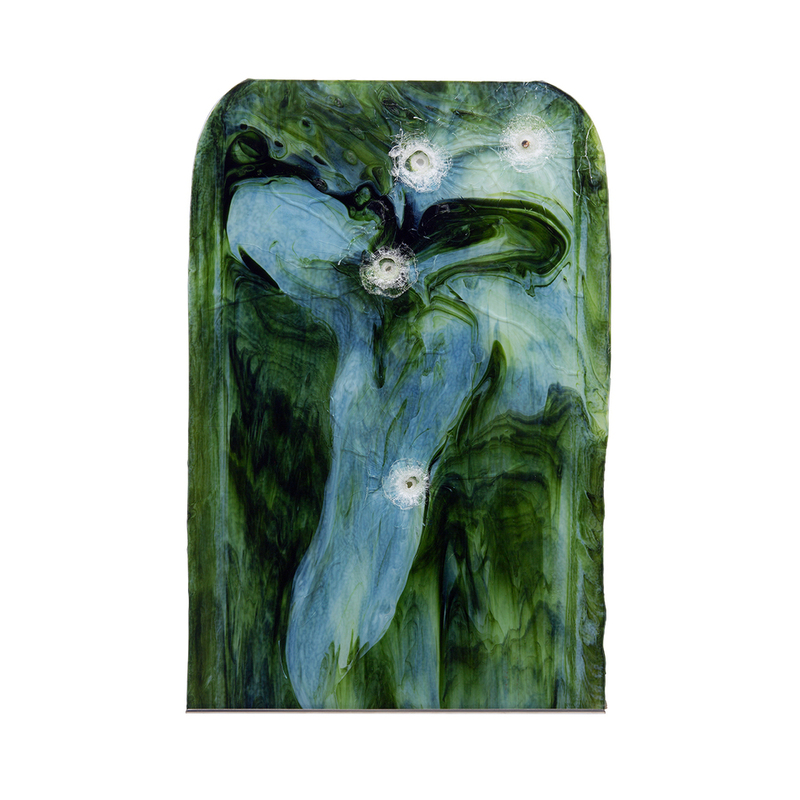 The show also includes bullet hole paintings, a recurring motif for Rollof in the past decade. This time he fired the bullets through antique overlaid glass, preserved for use in restoring stained-glass windows. The delicate beauty of the bullet hole patterns evokes an unexpected optimism, perhaps even suggesting an aesthetic path of salvation.